Return to the Crow’s Nest Quilt Block page. 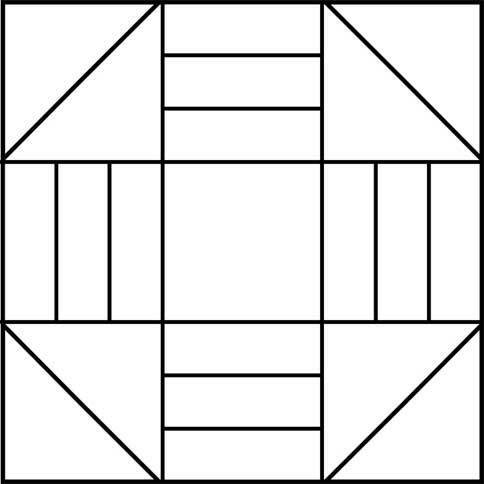 Crow's Nest Quilt Block for printing as a template. Uses triangles and long strips to make the traditional quilt block.